What song would you play if your life was on the line? That’s the premise behind a documentary film featured in a Loyola University New Orleans Film Buffs Institute screening Feb. 22 at 6:30 p.m. Director Ronnie Clifton based his documentary on folklore describing how legendary Louisiana bluesman, Huddie “Lead Belly” Ledbetter, sang his way out of prison—twice. 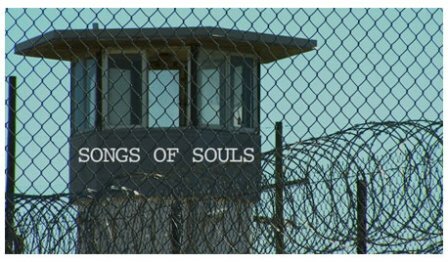 “Songs of Souls” not only highlights Louisiana musicians and the Angola Prison’s gospel inmate band, it also sheds light on Louisiana's criminal justice system and the state’s high per-capita incarceration rate. A panel discussion after the film will feature Clifton, Angola Prison Assistant Warden Cathy Fontenot and Lafayette Parish Correctional Center Director Rob Reardon. Musicians David Egan and Michael Juan Nunez, who are featured in the film, will perform live. The event features movie snacks and is free and open to the public. The film screening is set for Bobet Hall in room 332 on Loyola’s main campus. Free parking is also available for visitors in the West Road garage, accessible from St. Charles Avenue. For more information, please contact Dittmar Dittrich, Ph.D., with Loyola’s Film Buffs Institute.